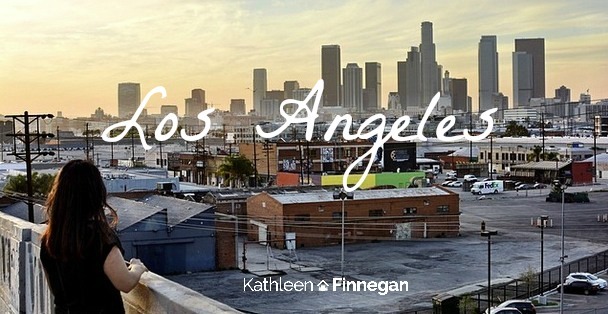 Kathleen Finnegan » Why is Everyone Saying YES to Los Angeles? Why is Everyone Saying YES to Los Angeles? Los Angeles attracts a plethora of out-of-state home buyers from every walk of life, industry, and lifestyle. With over 75 miles of prime coastline and altitudes 9 ft below sea level, one might ask, “What can’t you do in LA?” Los Angeles is one of the few places where you can run, ski, fish, bike, and hike all in the same day. Here are 3 of the top reasons people are sooo attracted to this great city! LIFESTYLE: It’s great knowing that everything is available to you. Think about it. If you’re a Los Angeles resident you may have overlooked the splendor of this great city, but it truly boasts not only the most beautiful beaches, mountains, and parks, but also the most lavish restaurants, spas, and real estate! It’s a win win no matter your budget and the city is known for a culture that embraces an amazing lifestyle! CULTURE: Los Angeles is one of the most culturally vibrant cities in the United States. We boast not only racial diversity, but truly are a melting pot of every form of music, artistry, industry, and need I say food. The food alone showcases the unique flavors California has to offer. This variety is rare and offers many festivities that attract new people and families from all across the world. OPPORTUNITY: With so many options comes so many opportunities. California and Los Angeles, in particular, is one of the few cities that can boast both technology and television as well as both vibrant health and agriculture sectors. With the recent economic crisis, people are looking to locations that can provide a plethora of opportunity and hope. The City of Angels is quite in an attractive pick on the map offering not only warm weather but the opportunity to thrive within an ever growing community. There are so many reasons Los Angeles is special and attracting people from all over the world. Did you know that out of every 10,000 new transplants 7.3 percent are from New York City? Also between 2016 and 2017 there was an influx of 42,470 new residents. The numbers are still growing! What makes Los Angeles special to you? Do you know any other interesting facts about the city? I’d love to hear it. Comment below and share your take on why and how this city is magnetizing! Seeking a realtor? You’ve come to right place. Start here to connect. Stay connected with real estate tips, updates, and events in the San Fernando Valley area. Facebook, Instagram, Twitter. This entry was posted on Friday, September 8th, 2017 at 1:20 pm and is filed under Fun Extras, Homeowner Misc. You can follow any responses to this entry through the RSS 2.0 feed. You can leave a response, or trackback from your own site.